The picture is of last nights walk into the Sunset taken with my phone which crashed after taking it. Oh how frustrating it was and how glorious it is. 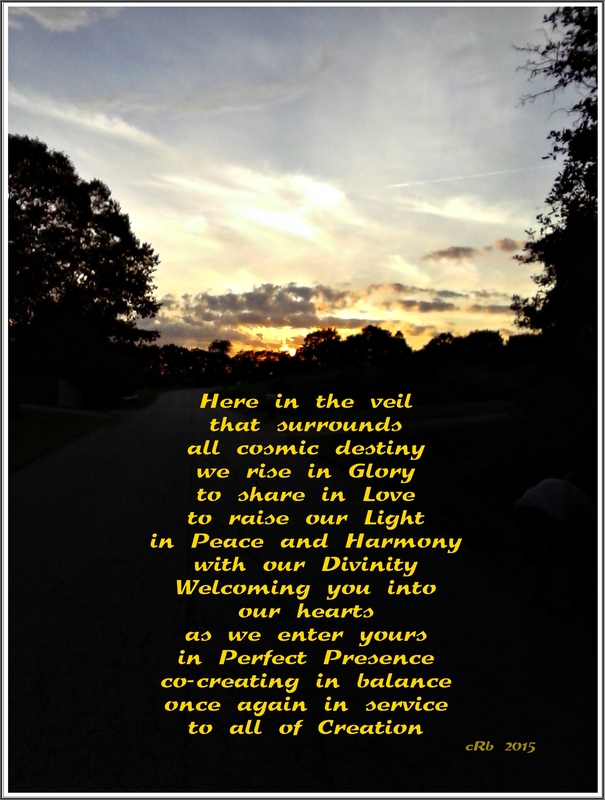 Peace, Light and Love to each of you as WE move into newness on our evolutionary journey.